This post was written in 2014, and its information might be outdated. Please refer to Amazon’s AWS documentation for the most up to date information, as I am not able to provide support or assistance for configuring AWS. For a few years now, I have been hearing about the benefits of Amazon’s Elastic Compute Cloud, but had resisted making the switch because of their lack of integration with the web host management tools that I prefer to use, cPanel & WHM, . I finally got talked into firing up an instance in Amazon AWS, and in the process have really begun to appreciate the technology integrated into Amazon Web Services. The ability to scale and deploy on demand are enough that I don’t anticipate going back to dedicated hardware anytime soon. The capabilities of Amazon’s AWS are pretty incredible, but I missed the familiarity and ease of use of cPanel & WHM to manage my hosting environment. I began looking into how to install cPanel & WHM on AWS, but found most of the information outdated or in multiple places, making it a struggle to walk through. 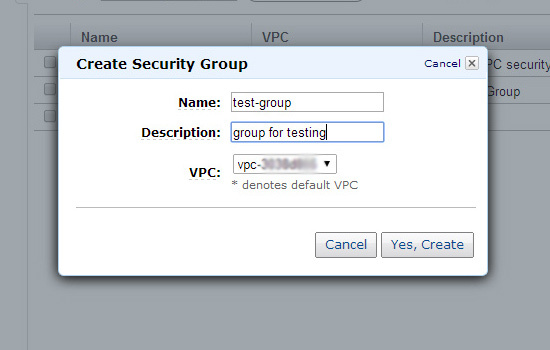 I decided to put together a set of steps that would walk through how to set up a VPC, Security Groups, Your EC2 instance, S3 Storage, Route 53 DNS and cPanel/WHM using Amazon Web Services. I configure mine to allow all traffic in and I manage ports through cPanel/WHM. If you want to do it that way, select Inbound and create a rule for all traffic; make source 0.0.0.0/0 and click add rule. 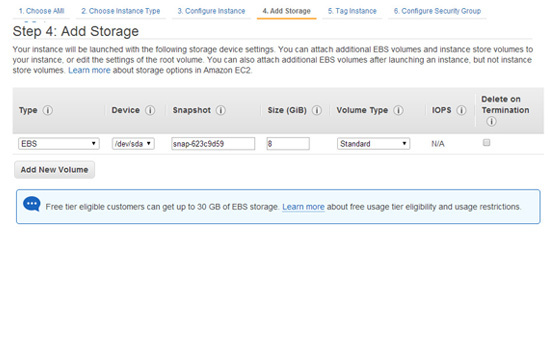 Amazon offers a few different kinds of storage, for this instance, our options are root and EBS. Root storage is in the EC2 instance so when the instance gets terminated the data gets terminated. EBS is independent of the EC2 instance so data will not be terminated with the instance. 3.6. 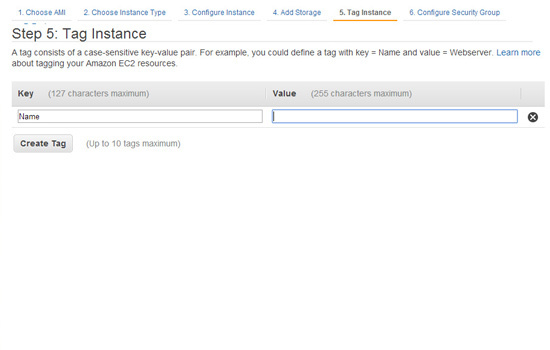 Tag your instance and create a name for it. Make sure everything looks the way you want it to and click Launch. 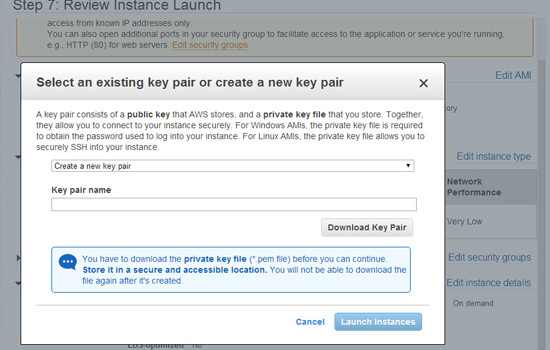 You can add an existing key or select Create New Key Pair, add a name for your key pair and download it. Use puttygen to crete a private key. I decided to try Route 53 to configure my hostnames for this project. I went and purchased a domain and decided I would use that for my hostnames. 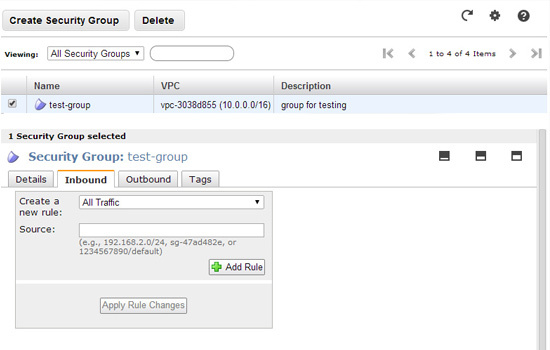 At this point your DNS should be configured to have the elastic IP address be used for your EC2 instance we created. You can use tools like network-tools.com to determine if your DNS is acting right or not. We will come back to this later when we discuss configuring nameservers. 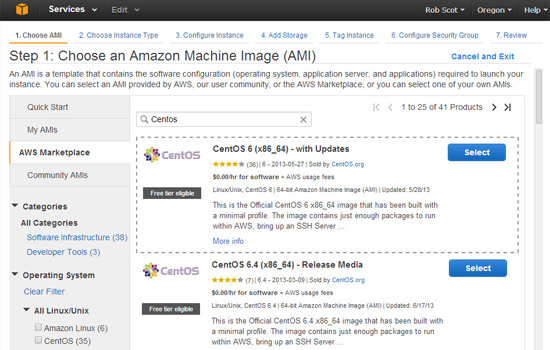 Now that you have your Amazon AWS configured, you can have some fun with installing and configuring cPanel/WHM. 6.9. Set root password. passwd root follow the instructions. You should now be in your fresh install of WHM ready for you to configure to your liking. I recommend configuring a security policy to regulate the ports we opened at the beginning. Also, don’t forget to set your hostnames. Unable to locate SystemId file. Is this system registered? You can use CentOS 6, I got same error on some different systems, finally I set it up on CentOS 6 and then it is working fine. i am in big trouble. please help me . I need your reply. how much you paid to “amazon web service ” company for integrating with cpanel. Did you paid money, if so how much you paid for amazon web service[ec2] for integrating with cpanel. 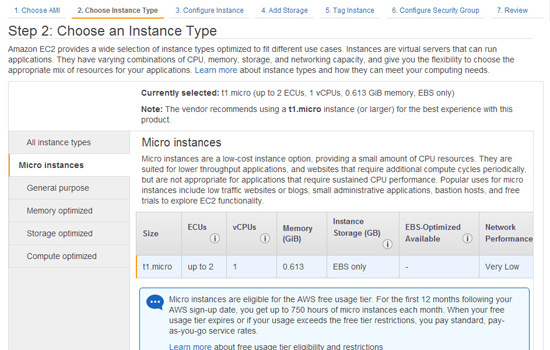 Here is a link to Amazon’s EC2 pricing. The free tier has 30gb of storage. it is because you installed red hat, or not? wael_hossam cannot register to any organizations. Here I have no idea what else I can do. I am not sure. I did not register on the RedHat website, I think AWS should do that for you when you start an instance. I’m just assuming though. I think you should be able to do everything through the AWS web portal. 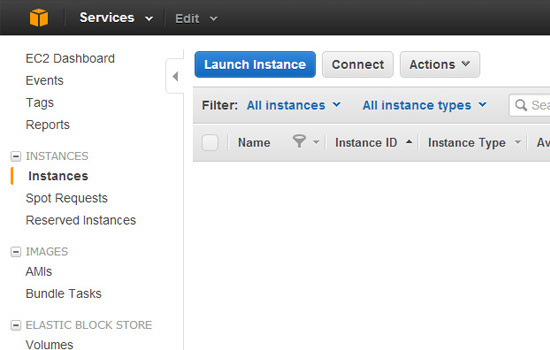 It was extremely useful and I used this as reference to setup my own Amazon EC2 instance with WHM. I did it a bit differently though, attaching two elastic IPs to the same network device. 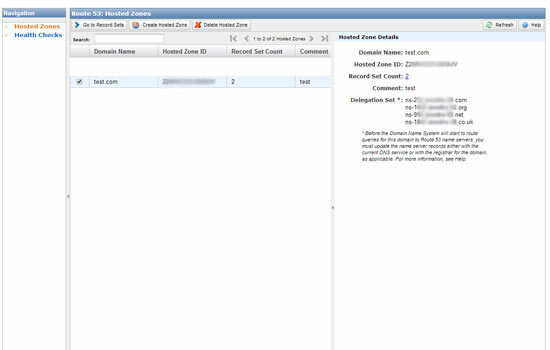 Then I registered two private nameservers for the two IPs and set those up in a DNS zone in WHM. Now I can point all my domains to those two nameservers and it works great. 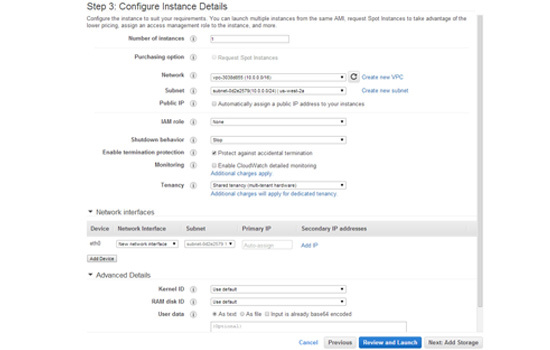 Amazon EC2 is amazing, so easy to use! That’s a great idea! I will have to try that out on an install and see if I like it better. Could you please let me know how you setup the aws to use WHM. I got struck in the nameserver area. It would be really grateful if you can explain the following thing “attaching two elastic IPs to the same network device. I would refer to their documentation because general support for AWS is outside of my scope of knowledge. Sure, I’ll tell you how I did it. 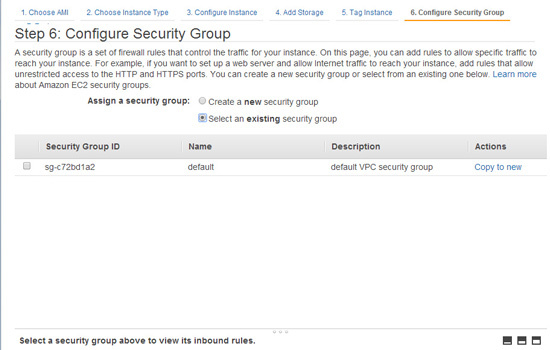 First, you’ll go to EC2 in AWS and create 2 private IPs on the 1 network device for the instance. 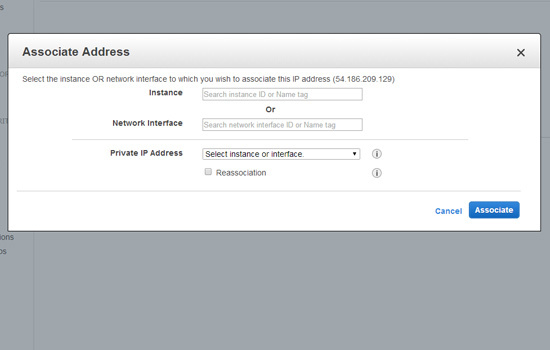 Then go to elastic IPs and create 2 elastic IPs and associate each one with a private IP on the instance. Then go to your registrar like GoDaddy or Dynadot and register two new, private nameservers eg ns1.domain.com and ns2.domain.com each with one of those public IPs you created under elastic IPs. Then do your WHM installation. During the installation it will ask you to specify IPs. Or alternatively, afterwards you can go to IP Functions > Add New IP. 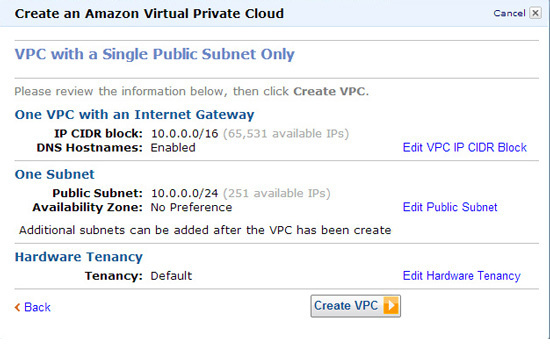 Since it will be in NAT mode by default, you’ll fill in the private IP you specified on the instance, not the public, elastic IP. WHM will automatically route the private IP to the public one and it will also automatically map the nameservers for those IPs at the registrar. Do this for you second IP as well, add it in WHM. Remember to add the private IP on the instance in WHM, else it will not work. After a few minutes or an hour or so, go to DNS Functions > NS Record Report and you’ll see that the nameservers have automatically resolved to the two IP addresses you specified. WHM does this automatically. Now you can go and point many domains to these two nameservers and they will automatically propagate to the new server. 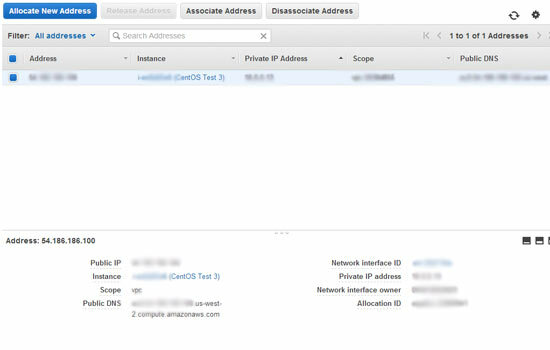 Great thing about EC2 is that it comes with built in reverse DNS as well so no need to do anything there specifically. I was curious why you created two name-servers when Route53 will create 4 DNS nameserver instances for each of your registered subdomains. Was perhaps Route53 not ready when you did this? I am not sure. I did this over a year ago and am not sure. Thanks. It is awsome using cpanel on aws. Your guide’s useful. Not a techie but am having an AWS pro migrate my sites. I think that was my experience as well. You could map things in a way that minimized the strain of resources on your cpanel/whm installs by leveraging the elastic components of their hosting environment for storage etc. c. Using ELB and have 2-3 server instances behind it ? I assume that WHM would use host header to identify differnet website. only recently AWS started supporting host headers on ELB. have you tested that? I would refer to their documentation since I do not and cannot provide sales or general support for AWS since a lot of it is outside of my scope of knowledge relating to their products. I do not understand your question about host headers either. This post and the one referenced by Antonie Potgieter are very helpful to someone like me; running a VPS at GoDaddy and having a tough time paying through the nose every time I need another 20 or 30 GB of space and getting “virtually” no support (sorry for that.) I mean, if I’m not going to get any (or much) help and I’m going to have to figure it all out myself anyway, I may as well go to Amazon and have the added benefit of truly flexible space and bandwidth. The only roadblock to making the plunge (for me) was just not having a clue how to navigate the conundrum that is the AWS interface. Thanks for posting this…I can’t thank you enough. I am so glad that it helped you, it makes the time it took to write and screenshot everything worth it. Anyone can setup multiple IP address for this to work ? I mean binding 2 or more IP on the cpanel/whm on ec2 ? Any idea which license of cpanel will be needed? vps optmised or cpanel accelerated for this? I think I used a VPS one. Its been a while though so I am not 100% sure. Did you replace the “ip-address” in the url with the ip address of your hosing environment? With this i can provide hosting or shared hosting via whm right? This installs WHM / cPanel on Amazon AWS. They can be used to administer a hosting environment. [20141103.004535] E bzip2: Can’t create output file /usr/local/cpanel/scripts/validate_sshkey_passphrase-cpanelsync: No space left on device. Can’t exec “/usr/local/cpanel/scripts/cpanel_initial_install”: No such file or directory at /home/cPanelInstall/selfgz1229/install line 146. Which I would assume is the problem. 2014-11-13 20:54:00 429 ( INFO): cPanel install started at: Thu Nov 13 20:54:00 2014! 2014-11-13 20:54:00 430 ( INFO): This install will take 20-50 minutes depending on your hardware. 2014-11-13 20:54:00 431 ( INFO): Now is the time to go get another cup of coffee/jolt. 2014-11-13 20:54:00 432 ( INFO): The install will log to /var/log/cpanel-install.log. 2014-11-13 20:54:00 338 ( INFO): CentOS 6 (Linux) detected! 2014-11-13 20:54:00 373 (ERROR): and re-run this installer. What can i do to solve that? Your hostname (ip-10-0-0-128) is not set properly. Please change your hostname to a fully qualified domain name, and re-run this installer. Would you undertake to install an instance for us? Have I become a registered user on cPanel to install WHM/cPanel in my instance no AWS? Does AWS offer any type of web service that come with WHM/cPanel installed?? I think the answer is that you have to install / register cPanel/WHM yourself and that Amazon does not have a one click solution to install it for you. I could be wrong, so you might want to check with Amazon. On more thing: MySQL, FTP Server, MailServer are installed with WHM/cPanel? I’m a VPS user for a lot of years but all of that VPS that I used came with WHM/cPanel, MySQL Server, FTP Server, MailServer, WebMail installed, so I´m afraid to make all of this configuration by myself. I think most of that should come bundled with whatever flavor of Linux you are using. You can then install WHM/cPanel and manage those services through WHM. Do you know CloudLinux? Would you recommend it? I think that I could not get WHM to install on flavors other than CentOS which is why I did not use Cloud Linux. Now that I think about it, I am not sure Cloud Linux was around when I did it. I will definitely check it out now that I know it exists. It looks like it might be a good solution with cPanel rolled into it which would make the installation simpler. I’m really new to this thing, and got stuck at step 5 , where I should ‘Click on Go To Record Sets and add an a entry for your public IP address’. Which IP addresses should I set it on? Is it the elastic IP that has been set earlier? You should add the public IP address you want to use. I am unable to open up the cpanel through browser. http://ipadress:/2087, I am entering the public IP that is assigned to me but am not getting anything. 2087 is port here? It is hard to say what is causing this without being privy to the steps you took to get there. I followed the steps in the post to install/config everything.. I am unable to open up the cpanel through browser with https://my.domain:/2087. I have opened the ports: 80, 443, and 22. I’m not sure what I did wrong. Can you please guide me in adding 2 network interfaces to cpanel which is hosted in AWS. I wrote this post over a year ago and do not use the AWS products anymore so I am not familiar with any changes that may have happened on the AWS side of things. Hi Rob, is there a reason you don’t use AWS any more? It really depends on your application. For me the decision was based on cost & speed. I feel like greater speed gains come from the location of the server in relation to the user base. Most of what I host is local business so the redundancy etc that AWS offers was not as important to me in this application as the speed gains with a server closer to the users. It is also relatively expensive especially compared to more traditional hosting environments. Very useful article. Installation is a breeze…. Cpanel installed on VPC EC2 is same as on any VPS. How can we control multiple cpanel installed on multiple EC2 and achieve cloud architecture for further expansion. Cpanel confirms they require static IP and doesn’t support Cpanel. 2015-12-02 09:02:45 1028 (ERROR): with the Red Hat Network before you install cPanel & WHM. This is great information. One small detail. You cannot do this cPanel/WHM install if you already have MySQL or Maria DB installed on your server. 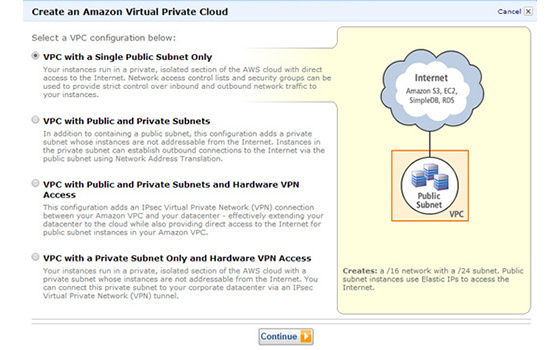 Amazon gives great instructions for configuring your linux instance. However, since Amazaon doesn’t really care about cPanel or WHM they just continue with MySQL. So when you configure your Linux instance, you must install cPanel/WHM before you add MySQL to your server EC2 instance or this procedure will not work. If someone knows what to do when you already have MySQL installed, I would love to know. Hi, thanks for this very useful article. I have a question, now that Amazon has released Lightsail could I just create an Amazon Linux OS instance and install cPanel and WHM on that? I don’t use AWS anymore so I was a little out of the loop on what Lightsail was, so thanks for turning me on to it. I would assume since you can have a lamp stack you should probably be able to do it, but I didn’t fire up a Lightsail VPS to find out. Let me know if you do. I do not understand the difference. I think elasticip.com:2087 is just a generic placeholder for what the elastic IP would be. If you used a domain name you could probably do that, but it would change some of the steps. I think everything I have posted is in this post. You could try looking through all the posts to see if there is something there that catches your eye. 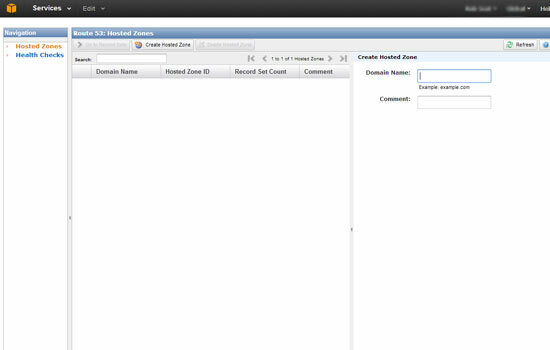 Hi, I setup a an AWS EC2 instance on Cent OS (WHM & cPanel). However, even though I put a index.php pages in the public_html folder (to print just Hello World”), I am still getting a 404 Not Found error. Not just that, I also tried creating a folder ‘test’ within public_html and placed a similar index.php file there but it gives the same error. What could be the reason? Thank you. Hey Rob, this is an great tutorial I really appreciate your efforts. I just setup everything but I got an error after installation. When I entered https://myipaddress:/2087 in my browser it shows me 404 error can please help me there, I’m a newbie! Its 2018 and it still works fine! thanks for a great tutorial!